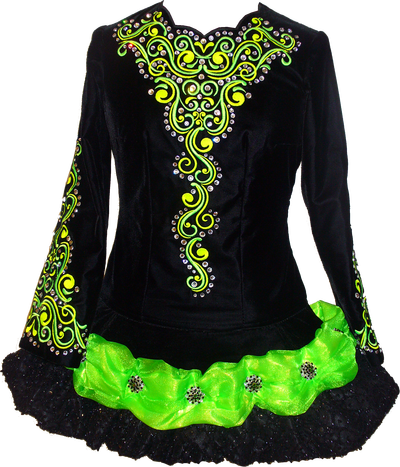 Lovely black velvet dress with neon yellow and neon green embroidery. 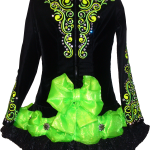 Skirt is neon green organza and a black beaded and sequined tier at the bottom. Dress comes with 2 options for capes. 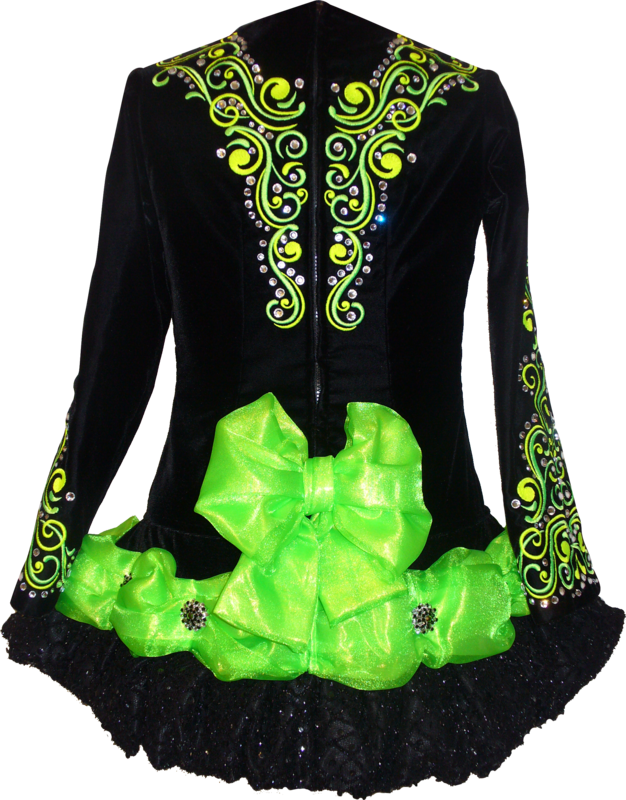 One is a neon green bow and the other a black beaded sequined soft cape. Also comes with a black velvet headband with clear crystals. Dress is embellished with hundreds of crystals. Bodice is lined with a birght green floral cotton and the skirt is lined with black satin. Very light weight and so easy to dance in. Looks great close up or from the stage. Dress can be taken in or let down at the hem, both approximately 1″.